Volunteering / Giving Back / Paying it Forward: Our desire is that everyone who attends King’s Grant would quickly get involved in some area of service. When you serve, you develop and use the spiritual gifts you have been given. You also make connections and form relationships with those whom you work alongside. Not one ministry could function without the cast of champions it takes to make it thrive! With so many opportunities available it doesn’t matter if you have a little time or a lot. We need you! The only question that remains is what area is the best match for you? Not sure what you’re suited for? Try taking this FREE Spiritual Gifts Inventory. 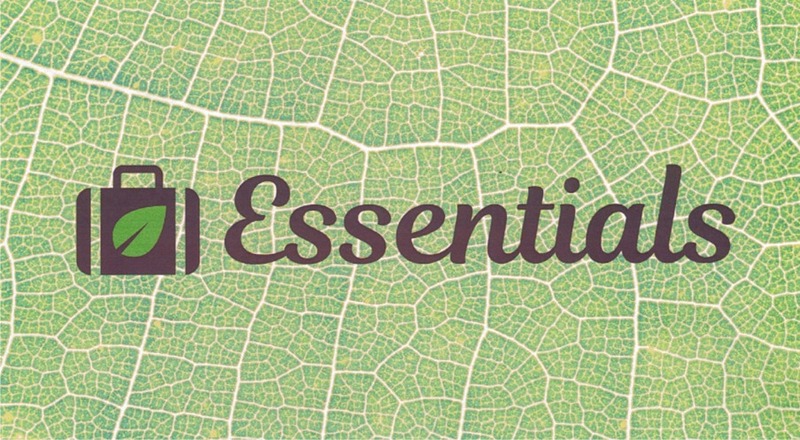 This tool will help you discover the areas of service that you may more likely do with a certain ease and effectiveness! Yes, I will follow God’s call to transform my community and the world. God’s people are commanded to be open-handed toward those in need (Deuteronomy 15: 10, 11), to practice justice and compassion (Zechariah 7:9, 10) and to be “rich in good deeds” (1 Timothy 6:18). Pick a cause or ministry that matters to you; something about which you are excited. What kind of person in need do I deeply care about? The poor? Women and children? Internationals needing cultural and language help? Senior citizens? The sick? The sexually abused? The addicted? What are my gifts and talents? What are my scheduling conflicts? How far can I drive? 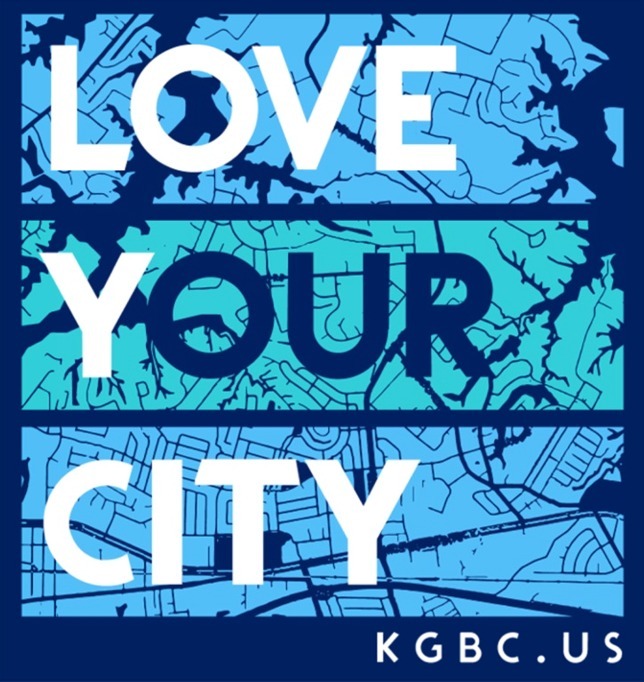 Pick a ministry from this directory that shows descriptions of our needs, partners, volunteer tasks and contact information of a KGBC member who is the point of contact for that ministry. Contact the ministry leader directly to determine if your selection is a good fit or contact Scott Chafee for a personal consultation on other community ministries options. We have a code system to help volunteers select the ministry that is recommended for your specific life stage. The following codes are denoted next to each ministry description. 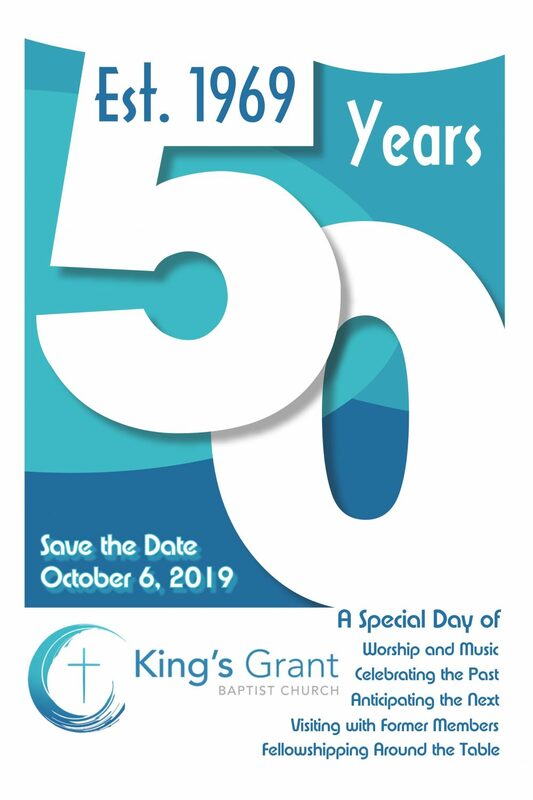 The Mission of King’s Grant Baptist: Knowing Christ and Making Him Known, and we do this by embracing our vision of extending the love of Christ and His Kingdom in Virginia Beach and to the world. Almost every partnership is based on the relationship of individuals and small groups of people within our church. They seek to minister among people who live in the diverse community right outside the doors of our church and around the world. Ministry resources (people and funds) are dedicated to assisting KGBC members to become effective and productive disciples impacting the world around us. Part of the Great Commission (Matthew 28:18-20) involves teaching. As we make disciples, we are to teach people all that Jesus has commanded us. What better way to teach is through the largest and most significant ministry of the church; Sunday School and the Wednesday Discipleship Ministry. There are plenty of opportunities to pass on that which God has allowed us to learn and experience. (Matthew 28:20, Luke 6:40). Teaching in a lead role is reserved for church members only. Every Sunday it is imperative that people who walk through our doors get a big smile and a warm welcome. It is within the first seven minutes that a guest will decide if they will come back for a second visit. Proper greeting allows us to make a positive first impression. After people are properly greeted on a Sunday morning, guests should be directed towards the First Touch Team, who will help direct our guests toward all the places they need to visit in our unfamiliar facility (worship areas, classes, restrooms, children’s areas). These servants greet everyone entering the worship area, hand out bulletins for the morning services, and help people find their seats in a non-threatening way. They also take up the offering and otherwise assist during morning worship services at 8:30 or 11:00. The ladies of King’s Grant are involved in many events that promote fellowship, fun, and spiritual growth. There is an ongoing ladies’ Bible study on Tuesdays, and a senior ladies’ fellowship on Wednesday mornings. These are seasonal groups. The men of King’s Grant are involved in many events that promote fellowship, fun, and spiritual growth. Our goal is to become better husbands, fathers, and followers of Christ. These Men of Steel embrace Proverbs 27:17. Music is a large part of worship and our Sunday worship experiences. Singing praises in the adult choir is a great way to lead in worship and to exercise the gift God has given you. Rehearsals are on Wednesdays at 7:30 pm. We have many active older adults who love to take trips and get together for special events. The senior ladies’ fellowship meets on Wednesdays. The JOY Club (Just Older Youth) plans all sorts of outings for senior adults throughout the year. The church is involved in community sports leagues (softball) and is known to get together to organize recreation for the annual church picnic. It’s about doing what you love and bringing others into the experience. Recreation may also take place through existing small groups. This is a special ministry to women in our church and community. These mothers of preschoolers get together September—May for support, instruction, encouragement, and fun. We need morning child care volunteers who will care for children while the moms are at the MOPS event. This well organized and mobilized team ministers to our homebound community. It is a team of people who love to be in relationship with a few special senior adults at a time. Monthly birthday parties are a special treat. The Volunteers of America winter shelter meets at King’s Grant each year, generally the last week of January. We provide meals, sleeping quarters, and many acts of hospitality and kindness during that week. This is our annual fall community missions and community impact event, the third Saturday of October. Hundreds of volunteers serve on a very wide variety of teams. In order to offer a wide variety of choices for adult discipleship, home small groups are a great way for many adults to reach out to non-church members. People may not come to the church, but they might come to your home. Perhaps you will get involved in a home small group. Our goal is to move people toward higher levels of commitment to Christ and his church. Sunday morning small groups are the backbone of our discipleship ministry. There are plenty of opportunities to teach or facilitate a class, either full time or you could be a part of a team teaching situation. Our grades 7-12 are in need of people willing to invest their lives into students, on Sunday mornings, but also on Wednesday evenings, and throughout the week. Faith is caught more than it is taught. Volunteer and make a difference today! Our grades 5-6 are in need of people who will invest their lives into these preteen children, on Sunday mornings, but also throughout the week. Faith is caught more than it is taught. Volunteer and make a difference today! Our grades 1-4 are in need of people who desire to invest their lives into children, on Sunday mornings and Wednesday evenings, but also through special events during the week. If our church takes proper care of children, parents will want to become involved in what’s happening here, too. Working with children is a vital ministry; many people have come to Christ at an early age! During the school year, we offer two semesters of children’s music education taught by caring adult musicians. The children are in graded levels from preschool through grade 6. Our infants through kindergarten need loving adults to care for them each Sunday. We also provide child care for preschoolers during special events, so will you volunteer? This is a ministry to the children, but also to each family. Our annual VBS will have over 225 people involved: teachers, workers, and other volunteers bringing a fantastic week of fun and spiritual advancement with our children. A major VBS event is the Thursday night activity, which requires many volunteers. Each August, you will find this camp full of artists, musicians, and actors; all learning an artistic trade for the glory of God. Each year the theme for the camp permeates all that is done throughout the week. In order to offer a wide variety of choices for adult discipleship, home small groups are a great way for many adults to reach out to non-church members. People may not come to the church, but they just might come to your home. Perhaps you might get involved by leading a home group. Our desire is to care for families and one great way is to take care of preschoolers so mom and dad can worship undistracted. There are volunteer opportunities at 8:30 and 11:00 each Sunday. We encourage those with children in the preschool area to be on the volunteer schedule. Our facilities are occasionally in need of minor repairs or maintenance, and we enlist people who will work in the build accomplishing various fix-it projects . Six times a year we need people willing to help out in the Little Neck Churches blood drives; blood donations, sign ups, promotion, event assistance. Worship in the Well does not just happen, we set up and tear down every week. We have partnered with the Union Mission in Norfolk to help those less fortunate. They have many opportunities to serve “the least of these” in our community; food bank, clothing, thrift store, children’s home. It takes a lot to bring a quality worship experience together and have it look good for attendees; create PowerPoint slides, operate the projector, soundboard technician, etc. It takes a lot to bring a quality worship experience together and have it look good for attendees; choir members, praise band instrumentalists, praise band singers, actors for dramatic presentation, etc. Baptism and the Lord’s Supper take preparation and a little time, but friendly volunteers make the experience go smoothly. If you are a church member with a safe driving record, perhaps you will offer to drive the 15 passenger bus to and from events: for children’s ministry, seniors, or other church related outing that fit your schedule. CDL is not required, just a motor vehicle background check. If you have the gift of a good eye and have your own equipment, you can help capture church memories. Photos are often used in video presentations and future event promotion. Maybe you’re skilled in iMovie (or some other editing software), or PowerPoint, or can create quality multimedia presentations. Perhaps you are skilled with today’s social media and can help promote the church and our activities, and provide informative and inspiring posts on Facebook, Twitter, Instagram, YouTube. We have one of the best kept secrets in town, so people with skills in advertising and marketing are very helpful. If you have some experience, we would love to talk with you. Jesus said his church should be a house of prayer, so this ministry is vital to all we do. We use many methods: prayer chain, prayer list, prayer emphasis, calls for prayer for missions, for national, or local crises. We need volunteers who will become prayer advocates. Team members will receive an e-mail each Monday filled with prayer requests from the previous day.